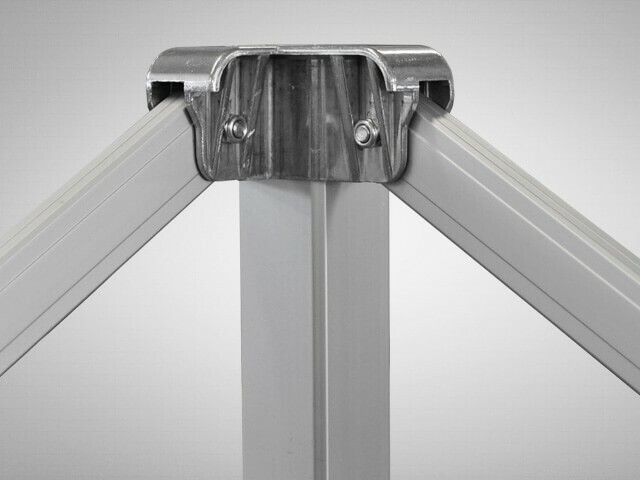 Lower joints, made from a finest aluminium profile, grant the strength and the duration of a top quality frame. 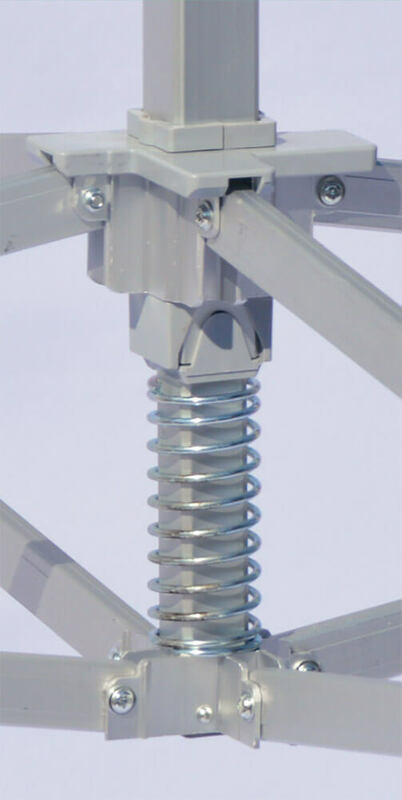 The round design of the upper joints limits the damage of the roof in case of rubbing, when setting it up or packing it. 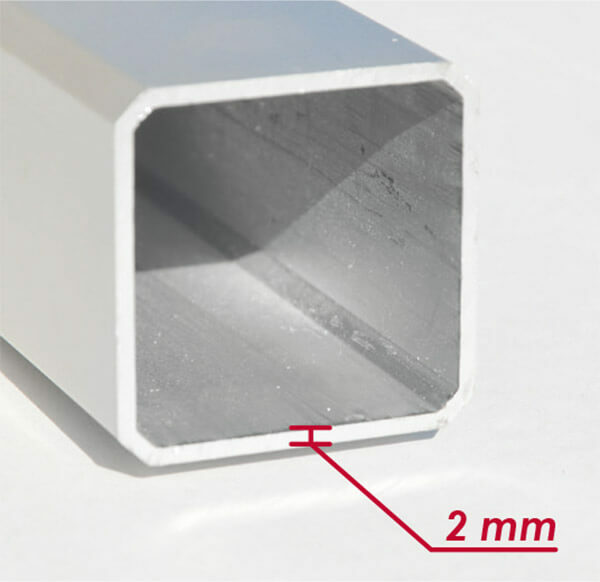 The frame is wholly manufactured from high mechanical resistant anodized aluminium. 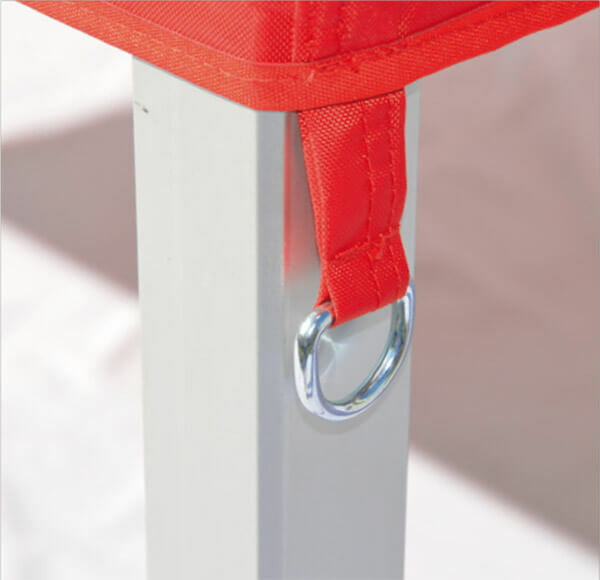 The metal pull pin height adjuster favours the best ability for compression. The adjustable leg of 42x42 square section and 2 mm thickness, shaped corners, lends this model a style which is modern and up-to-date. 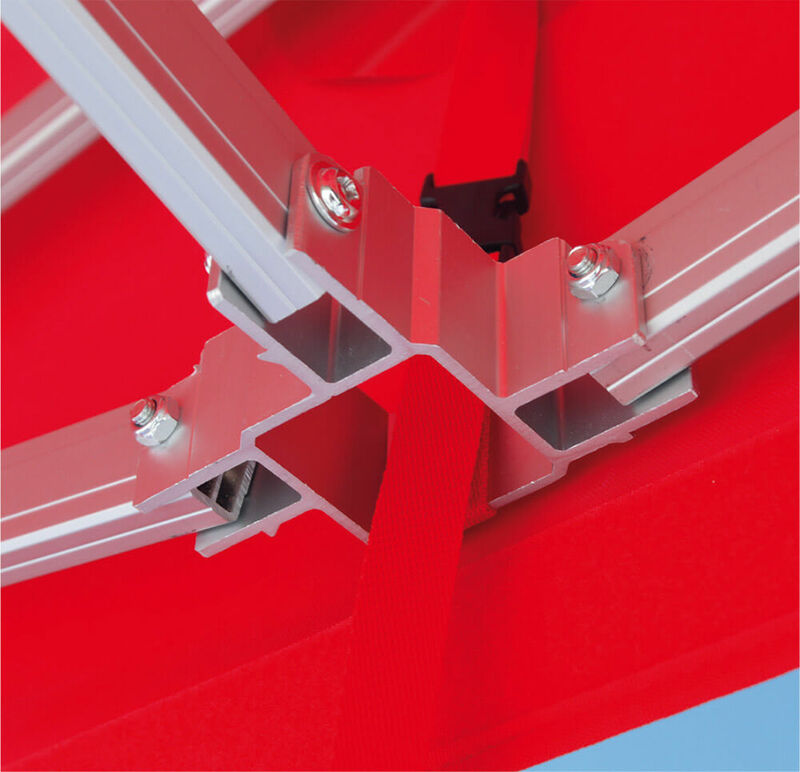 The pantographs have a 32x16 section and a 2 mm thickness, which makes Tecnoplus the most stable and strongest frame in any situation. 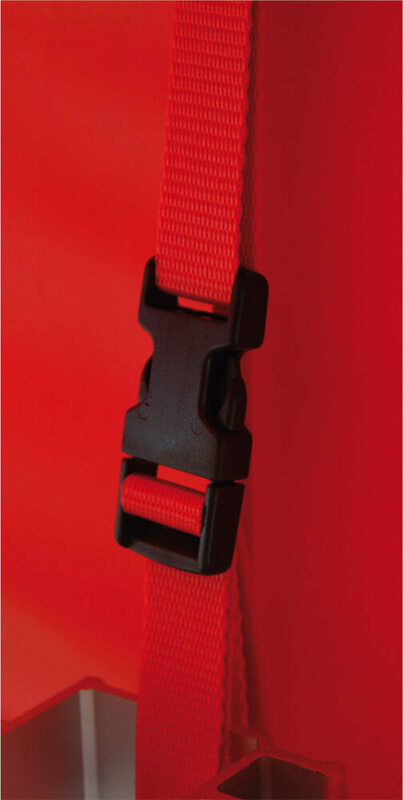 To assure safety and folding easiness, we have made a patented innovative unlocking system for the frame. 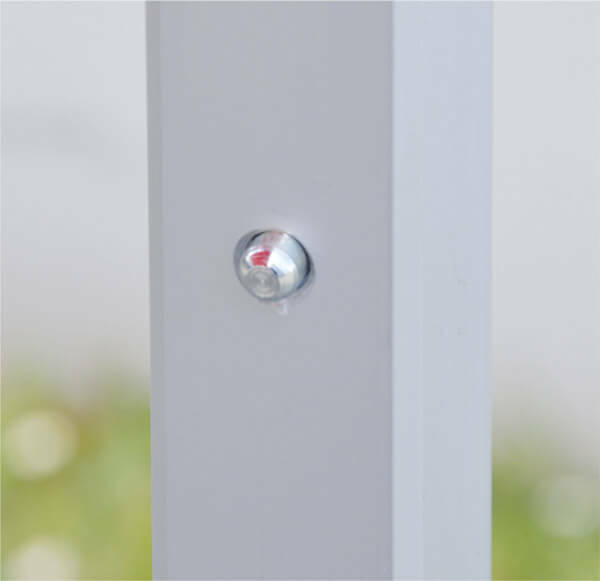 The simple act of pushing the green button, allows to unlock, fold the frame and package your gazebo without any risk of injury. The sliding frame parts are protected by a plastic insert that eases the sliding linkages. 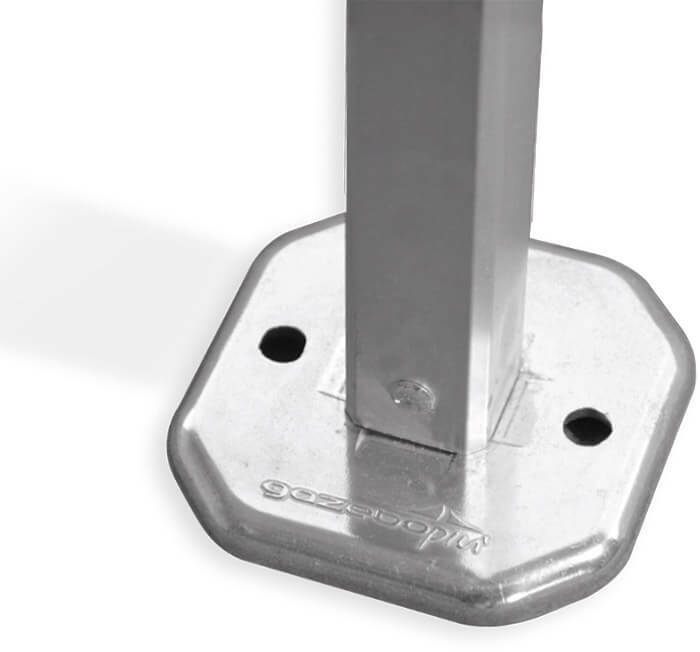 The reinforced foot is made of cast aluminum, which guarantees a strong support on any surface. We can eventually produce specially required colours. The reinforced seams are made with a tone-ontone yarn. The roofs are equipped with a tone-on-tone 50 mm perimetral velcro strip for the sidewalls connection. 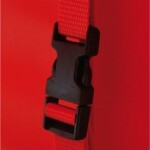 The tension buckle provided with the Superior roofs makes the surface tight and uniform. Next to each corner of the roof, there is a metal ring to which special guys (optional) can be hooked to give the gazebo even more stability. Side panels are made from 500D Bestex polyester fabric. They connect to the roof using a 50 mm strip of velcro which is sewn horizontally into the top leading edge of the side panel. 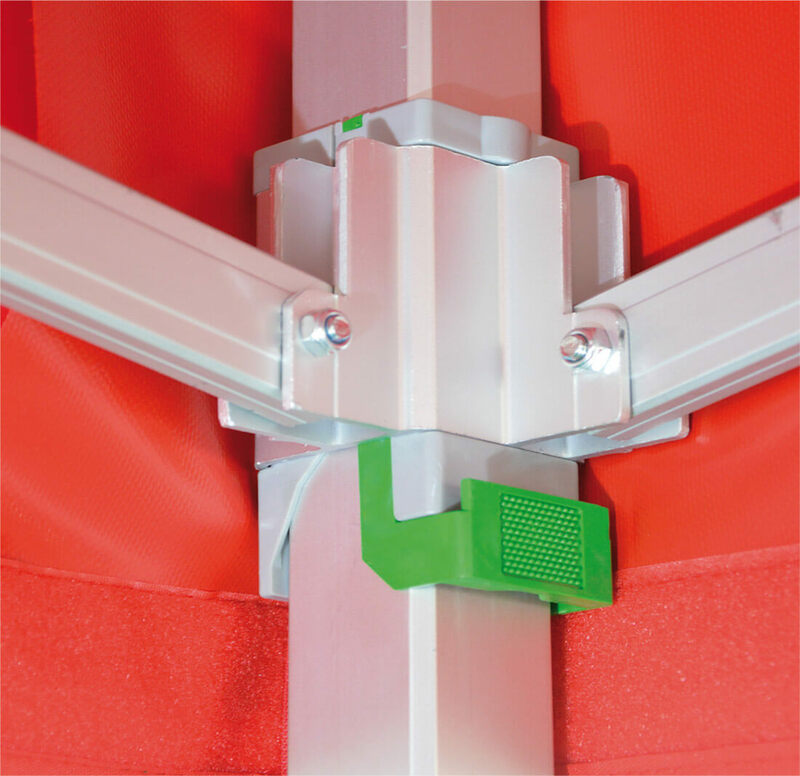 The vertical velcro strip assures a perfect connection between the side wall and the frame or from one side wall to another. This system creates a secure shelter from weathering. 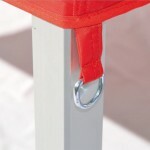 Plain side panel: wide customizable surface and a protection for the inside of the gazebo. Window side panel: external visibility thanks to an elegant transparent PVC window. Door side panel: vertical opening by two zippers. The door can be rolled and fastened by velcro strips. Half side panel: the half panel is the perfect solution to provide a formal barrier from unwanted entry without closing the gazebo permitting communication with the public or customers. For a perfect fabric tension, we suggest to complete half walls with a specific cross bar. DO YOU LIKE THIS GAZEBO? YOU CAN PERSONALIZE IT! Attention: we can’t assure in print the perfect compatibility of solid coated colors with the colours of our fabrics, contact us for more informations! Roof and side panels of this structure are customizable! Discover more on customizable gazebo page. The BESTEX Polyester of our Superior line has a Class 1 fireproofing certificate issued by the Ministry of the Interior.